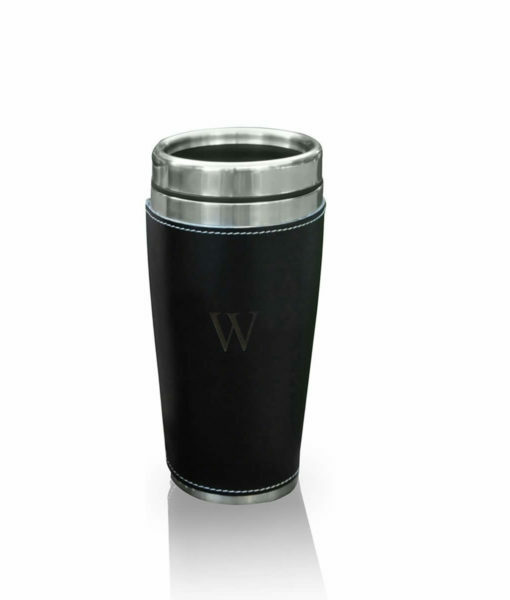 They’ll be drinking their favorite beverage in style with this Personalized Executive Travel Tumbler, designed for both hot and cold drinks. 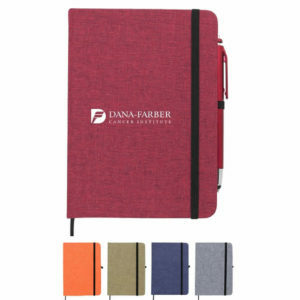 Featuring a sleek Faux Leather exterior with attractive contrast stitching. 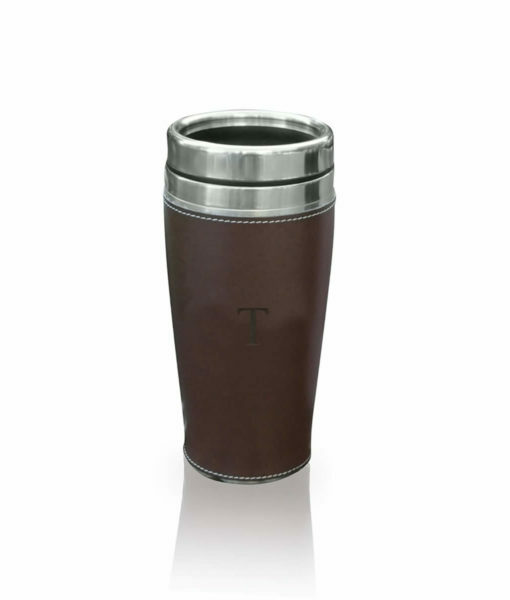 Handsome stainless accents with a tight-fitting cap. 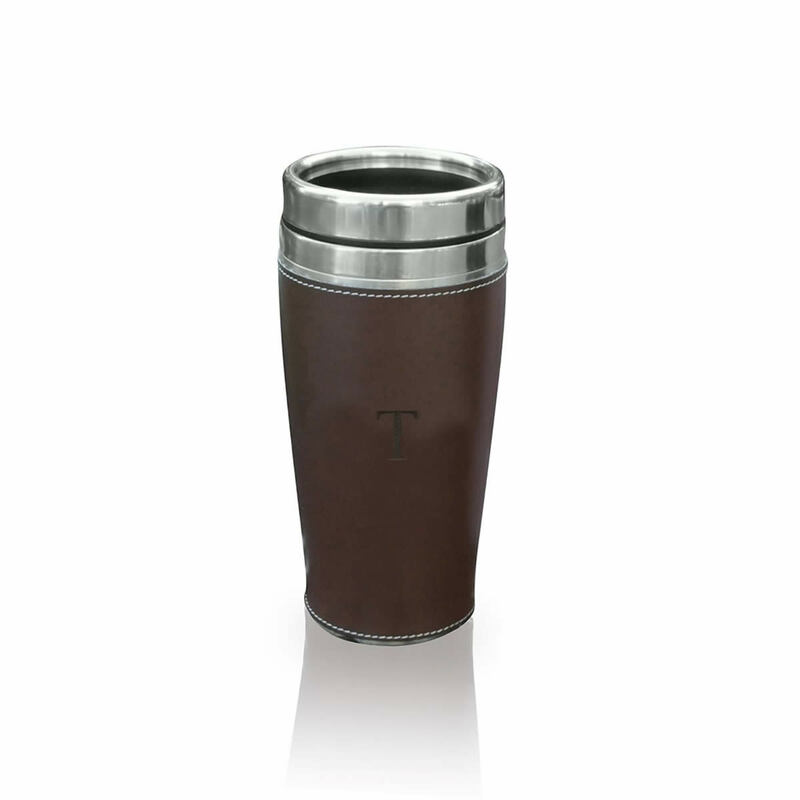 The soft Faux Leather cuff is removable for easy washing. 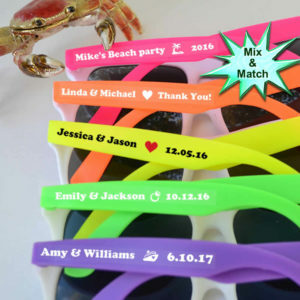 Laser engraved for a unique look. 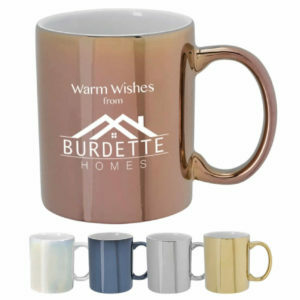 Contact us if you need help with ordering your gifts. 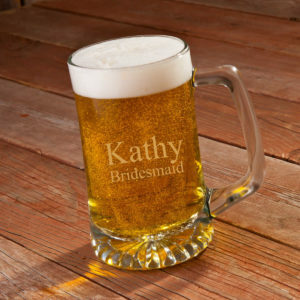 Check our other bridesmaid gifts listings to see an array of vibrant and dashing gifts. 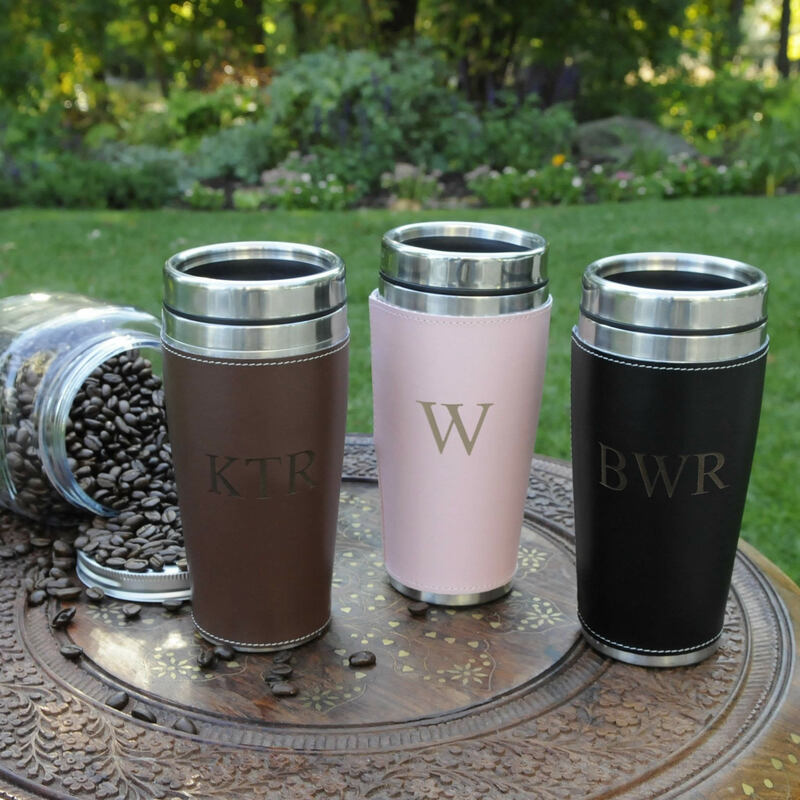 Personalized tumblers are one of the most popular bridesmaids gifts. 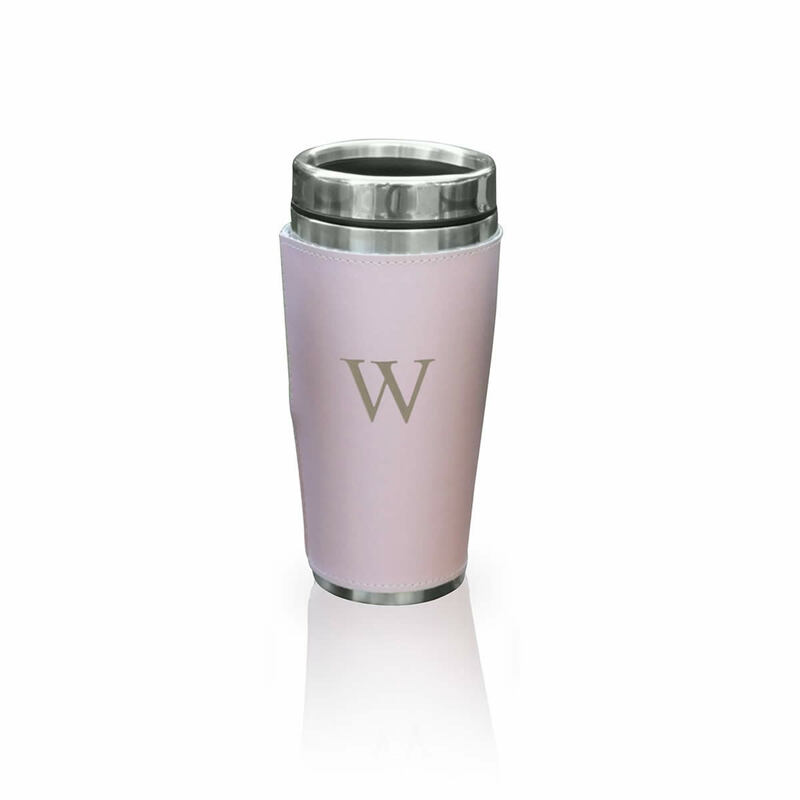 Every woman needs a good tumbler not only on your wedding day, but every day. 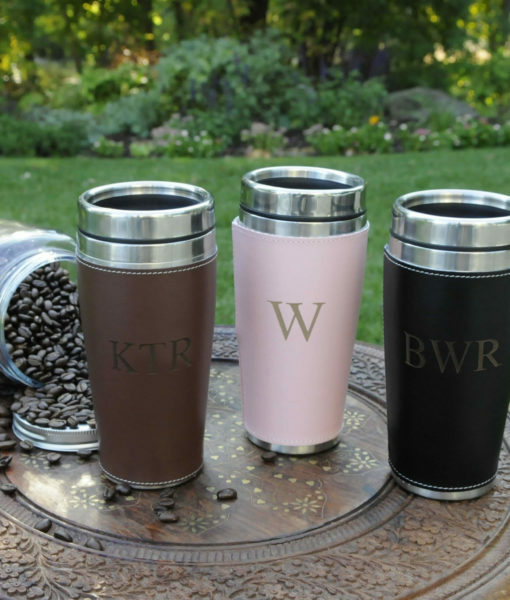 Our tumblers can be personalized with a name and title to make them an extra special gift for that extra special someone. 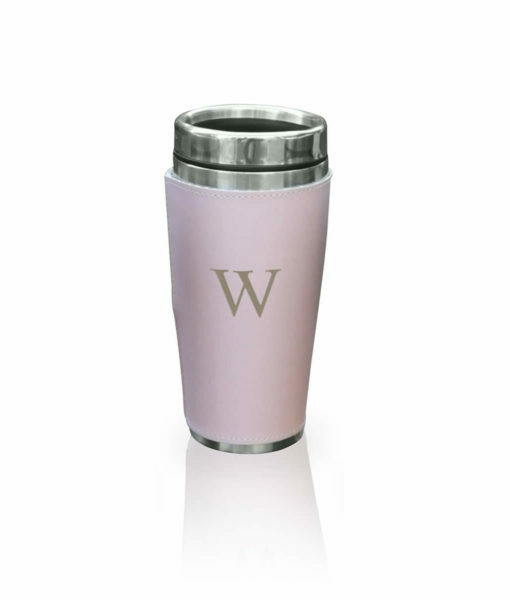 These tumblers are perfect for celebrations, theme parties or occasions and it will definitely get you lots of praise and admiration with their personalized print. 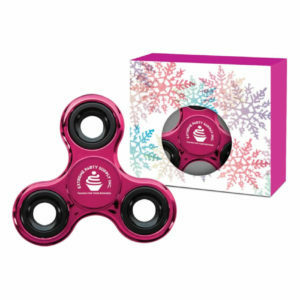 You are sure to find your matching gifts here. 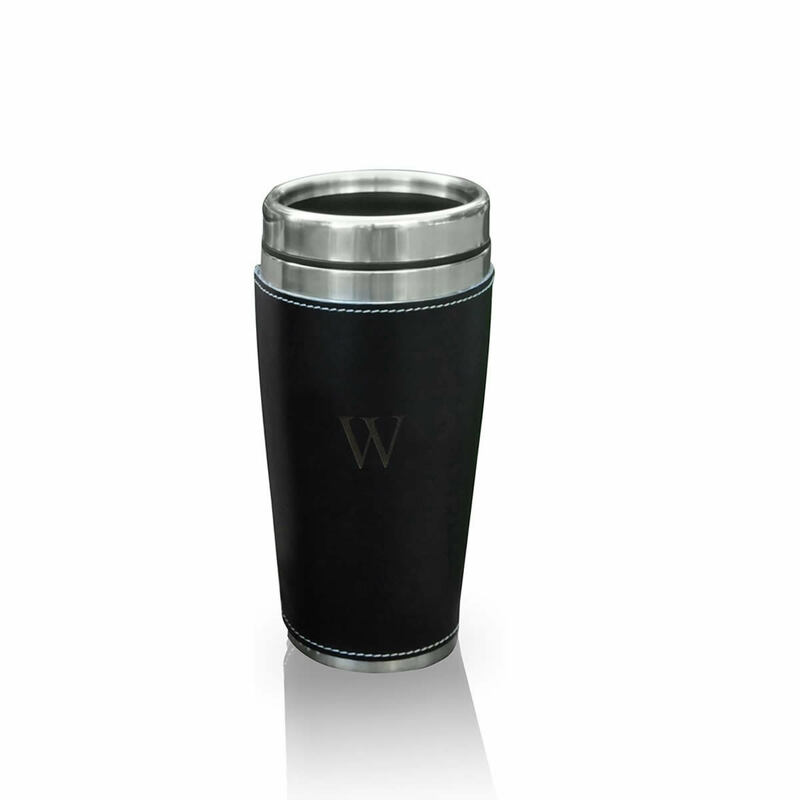 Check our gifts section to find the cheapest and best quality gifts you can buy. 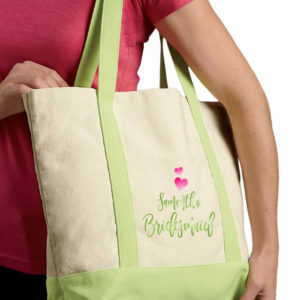 For a truly beautiful bridesmaid gift, our tote products are just what you’ve been looking for! 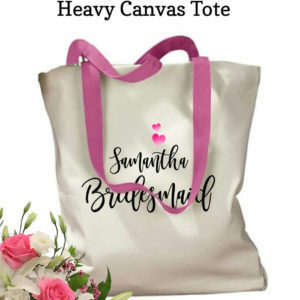 This is a bridal party gift that can be given either filled or unfilled, and your girls can use their makeup bags to bring along everything they need to get ready for all the events leading up to your big day! 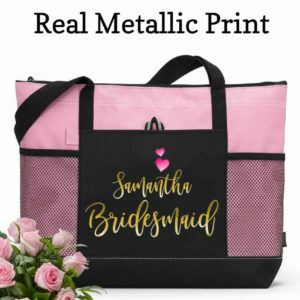 The combination of natural cotton and metallic foil print works beautifully with all themes!